We understand that purchasing a new home is a very exciting time for you and we want to make the process as easy as possible for you. We have several ways to help you during this exciting time. You can visit our website to view the rates (1) and apply (2) to any of our available mortgage products (3). When you are ready to apply for a mortgage, you can do this online or over the phone at 844.634.6631 and select option 2. 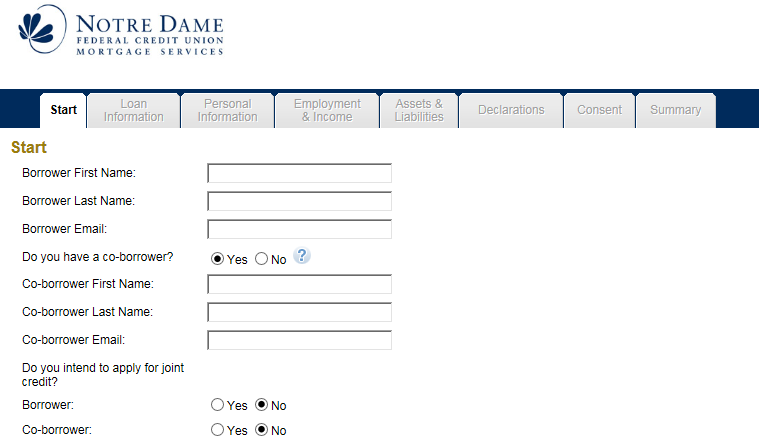 If you elect to do the application online, enter all of the requested information so that we can provide you with a decision as soon as possible.